In the mid-1960s, Art Ensemble of Chicago sprung from the Association for the Advancement of Creative Musicians (AACM). Ever since, they have been celebrated as one of the most remarkable free jazz movements to arise from Chicago’s already rich jazz heritage. Moving far beyond jazz, avant-garde and performance art, the ensemble has created a realm that is entirely original. On the eve of the Art Ensemble’s 50th Anniversary, we celebrate their legacy and welcome them back in style, after a 25-year absence in The Netherlands. Leading up to the performance, music critic and writer Ben Ratliff has compiled a playlist for us with 10 tracks as an introduction to the group's extensive body of work. Ratliff was a jazz and pop critic for the New York Times between 1996 and 2016, and is the author of four books, including Every Song Ever: Twenty Ways to Listen in an Age of Musical Plenty (2016); The Jazz Ear: Conversations Over Music (2008); and Coltrane: The Story of a Sound (2007). 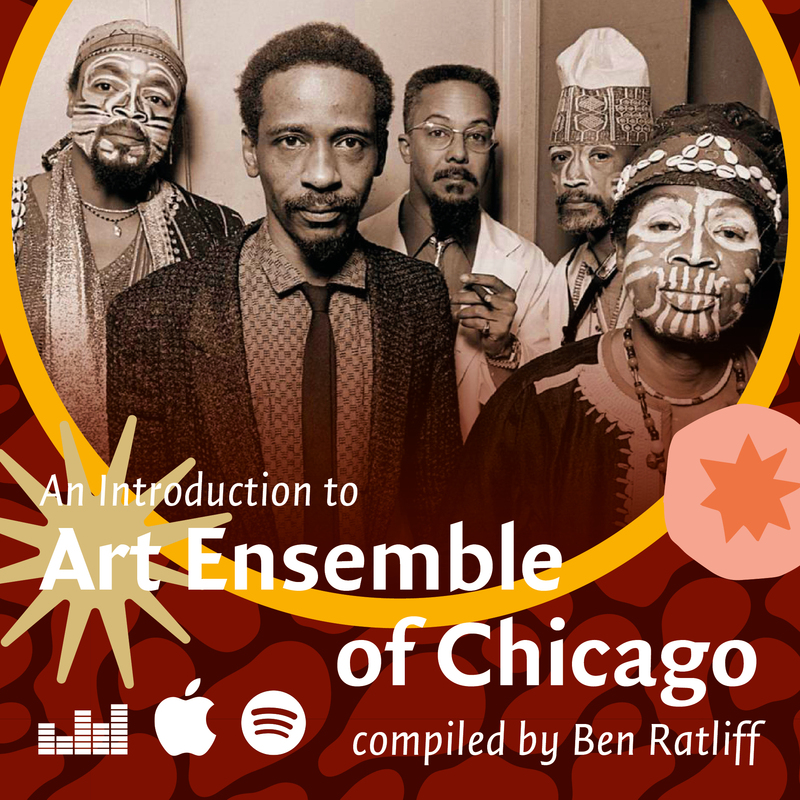 "The Art Ensemble of Chicago was an exciting force even in 1967, when it was not yet the Art Ensemble but existed in embryonic, three-fifths form within the Roscoe Mitchell Sextet on the record Sound. It was exciting in 1969, with its authoritative name, when it was challenging expectations in Paris, where audiences surely had expectations about a black avant-garde band that this particular one from Chicago couldn’t or wouldn’t be. It was exciting in the mid-80s (have you revisited Ancient to the Future, synthesizers and all?) and in the late 1990s when Lester Bowie was winding down his time on earth, and in 2004 when the group seemed to retrieve its energy. It is again exciting now in a current five-piece lineup including the cellist Tomeka Reid, its newest member, as well as Mitchell and Don Moye, its oldest members. Even during the stretches when the Art Ensemble wasn’t making its best music, it was always an exciting proposition overall. It proposed a really wide circle of knowledge, always going in curious directions, often with a sense of play or irony, never quite lining up with the endoxa of jazz culture, or American culture, or European culture. Art Ensemble of Chicago's performance at Le Guess Who? 2018 is curated by Moor Mother. Also performing at the festival are a.o. Colin Stetson, Nicole Mitchell, Sons of Kemet XL, Irreversible Entanglements feat. Pat Thomas, Kadri Gopalnath, Anoushka Shankar & Manu Delago with MO Strings, Midori Takada, Jerusalem In My Heart Orchestra presents 'Don't Say The Moon Has Set', and many more.